As I said way back in February when I was starting this list, their would be characters you think deserved to show up that never made it, and characters you thought didn't deserve to be in it. However, as a very wise man once said, all good things must come to an end. 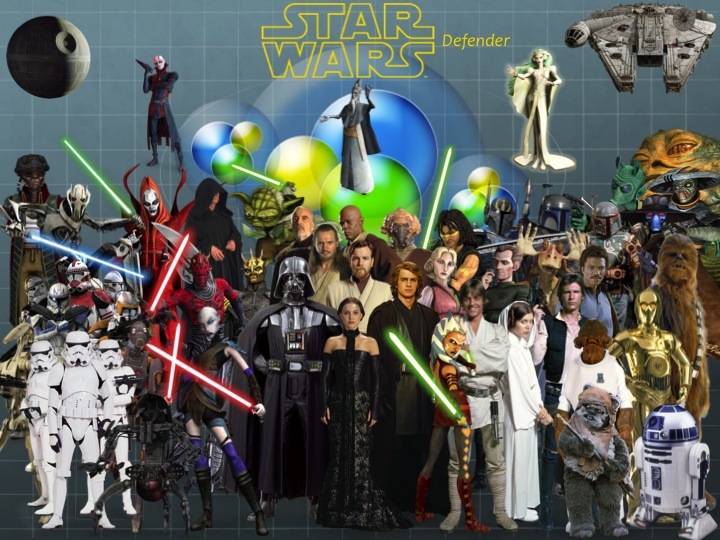 So with you, the Top 10 Star Wars Characters. At least, for now. Screw Voldemort. Screw The Joker. The greatest arch-villain in film history IS Palpatine, period. 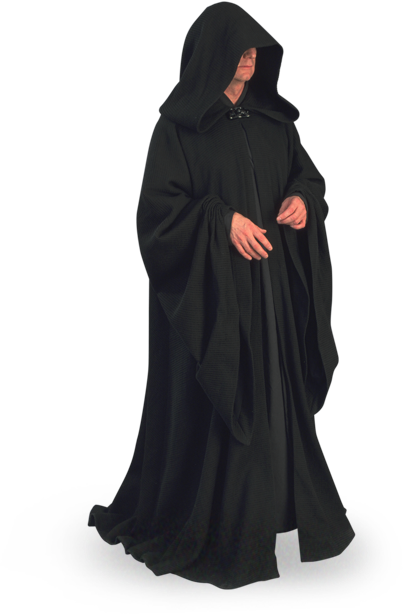 A megalomaniac, pure evil Sith Lord hiding in the face of a nice-middle aged politician, Palpatine orchestrates much of the Sith Grand Plan as he publicly rises to power in the galactic government, first as Senator, later as Chancellor and eventually as Emperor. He destroys most of the Jedi Knights and rules the galaxy with an iron fist. But will his lust for power, sow the seeds of his destruction? C-3PO is one of the 4 characters that make appearances in all six Star Wars films. And despite being for the most part a secondary character, he and his counterpart R2-D2 are in several ways, an iconic core of the saga. 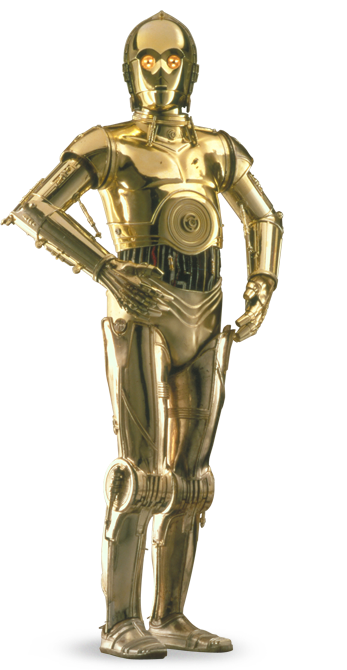 Originally created by Anakin Skywalker in the barren world of Tatooine, he is at first a droid without coverings, who later receives them at some unknown point and are later painted from grey to gold. His comedic mumbling makes him one of the most iconic characters in the saga. 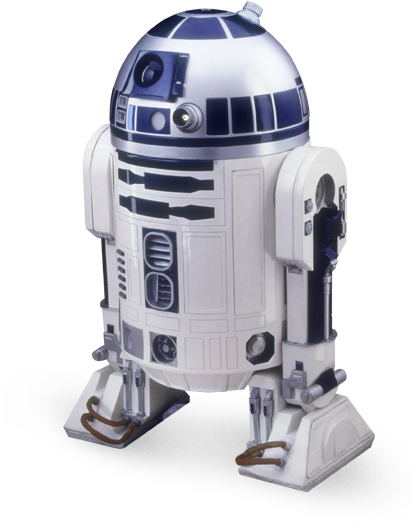 R2-D2 is the astromech droid counterpart to C-3PO and seen by many as the true ''hero'' of the saga. Originally in the service of the royalty of Naboo, he later goes to serve Anakin Skywalker after his marriage to Padme Amidala. R2 then goes to serve the Rebellion along with C-3PO, and becomes the confidential droid of Luke Skywalker. 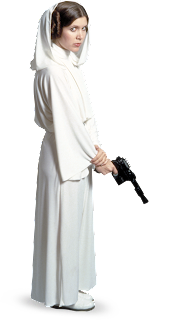 Leia, the daughter of Anakin and Padme, and adopted by Bail Organa, was one of the main leaders of the Rebel Alliance. Her devotion for peace, freedom and democracy was part of what fueled the leadership of the Alliance. Her rescue by her brother Luke Skywalker and the scoundrel Han Solo initated a journey of discovery and victory. Both beautiful and strong willed, Princess Leia more than deserves this top spot in our list. Like mother, like daughter. 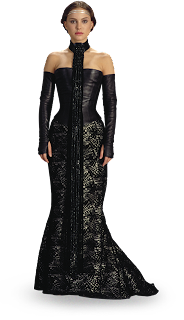 Padme Amidala, the mother of Luke and Leia and loving wife of Anakin, she was the youngest queen ever elected of the planet Naboo. 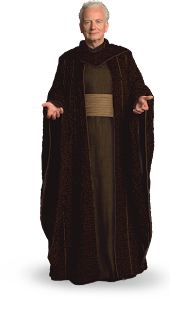 She bravely fought against the greedy Trade Federation, who seeked to take control over the planet, and with the aide of the Gungans, managed to bring peace and unity to Naboo. 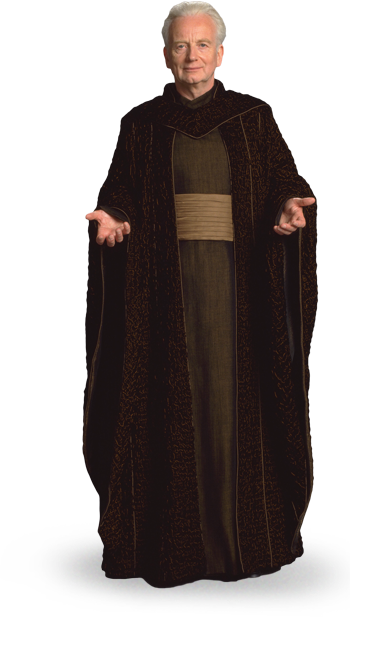 She later serves as Senator of the Republic, while at the same time secretly marries the Jedi Anakin Skywalker. Padme later witnesses in horror the collapse of the Republic and the birth of the Empire. Before her death, her final words to Obi-Wan were that ''their was still good in Anakin''. Her spirit can rest in peace knowing she was right. Their is something about Liam Neeson's portrayal of Qui-Gon that is simply ''magic'', much like how Alec Guinness portrayed Obi-Wan in A New Hope. 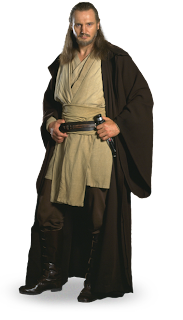 Despite the fact that Qui-Gon appears in only 1 of the 6 Star Wars films, he is still the Jedi Knight that sets in motion the events of the saga, in particular due to the fact that he is the one who discovers Anakin. He knew the outcome of the films before they even started. And even though he died at the hands of the ruthless Darth Maul in Episode I, Qui-Gon's spirit can be happy knowing that he was right, and that Anakin was the Chosen One. Yoda is essentially the quintessential Jedi in the sense that he embodied what the Order represented. 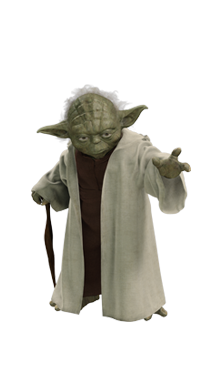 Inspired on influential and wise world leaders like Gandhi, Albert Einstein and Pope John Paul II, Yoda is the personification of all that is good, much like how Palpatine personifies all that is evil. His wisdom and incredible use of the lightsaber and the Force make him a fan favorite, and yes, speak like him we love to. Luke Skywalker was the hero of Star Wars for much of the early life of the franchise, and several still see it that way. 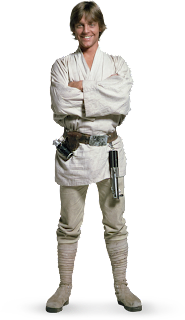 Going on the archetypal heroes journey Joseph Campbell spoke about in The Hero With A Thousand Faces, Luke goes from the life of a simple farm boy growing up in the harsh and desertic Tatooine, to the revered Jedi Knight who redeems his father and brings back hope to the galaxy. Much of the success of Star Wars is owed to Luke. 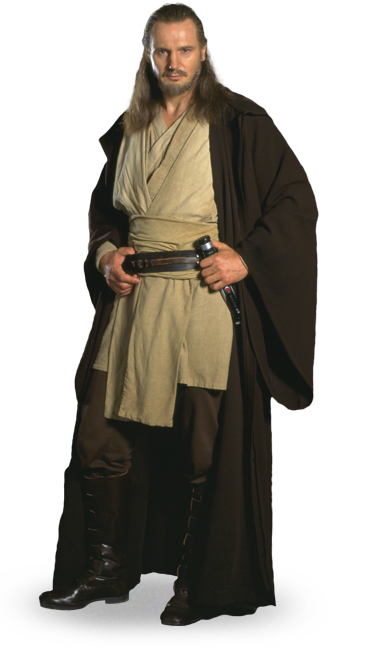 Even though Obi-Wan was never the main character of the franchise, he still is by far, one of the most important. He is the only character which we see transition from an early young adult life to that of a wise, old man (at least for now). Obi-Wan's heroism, from his defeat of Darth Maul and General Grievous, to his sacrifice on the first Death Star, were all great moments for the character. His portrayals by Alec Guinness, Ewan McGregor and James Arnold Taylor all added great and new parts to Obi-Wan. So as the heroic Jedi General of the Clone Wars to being the watchful guardian of Luke Skywalker, Obi-Wan Kenobi has more than earned this place on this list. Do you really think I was going to pick anyone else? 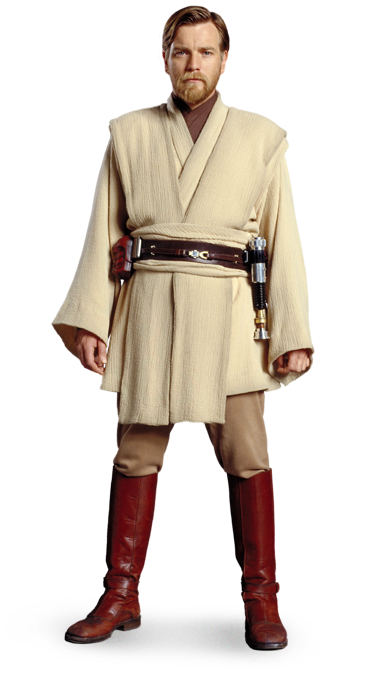 The main character of the Star Wars films, Anakin was a young slave boy destined to save the galaxy. However, this wouldn't happen out of the blue: He would first have to train as a Jedi under the tutelage of Obi-Wan. 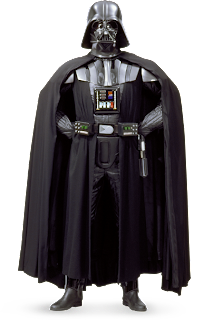 And as we know it, he couldn't escape the inveitable fate of turning to the dark side and becoming the fearsome Darth Vader. 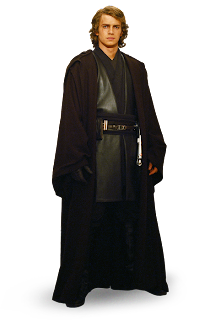 However his discovery and search for his son, Luke, is what leads to his return as Anakin, as he destroys the Emperor and brings balance to the Force. His ultimate redemption and overall story arch truly represent the core of what Star Wars really is.